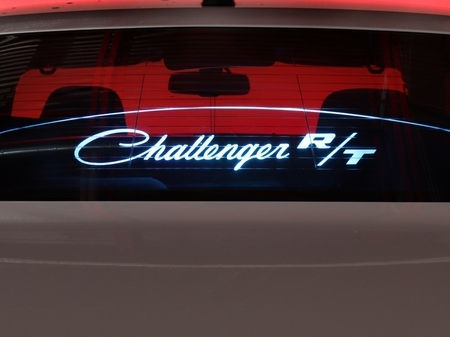 Not just for convertibles anymore. 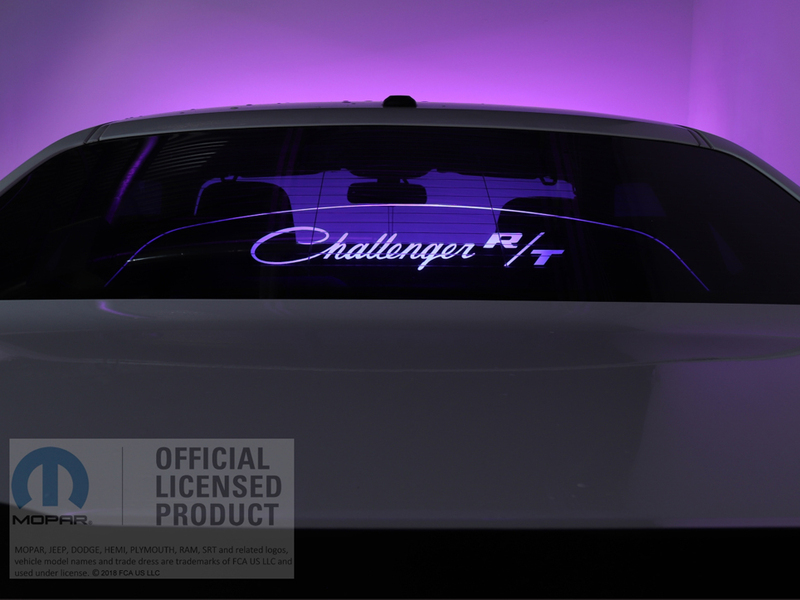 This 2008-2018 Dodge Challenger glow plate proudly displays Challenger R/T in the MOPAR original script and illuminates your rear window as shown. 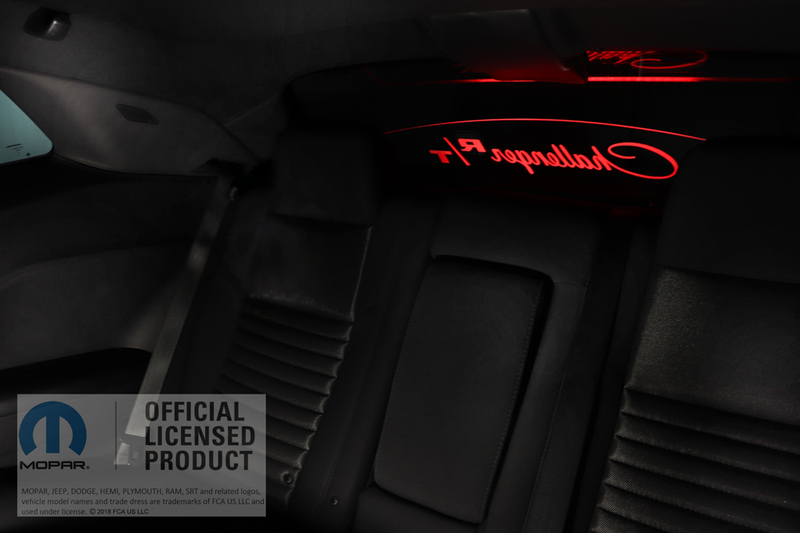 One of the best interior light effects, the glow plate is an officially MOPAR licensed product. 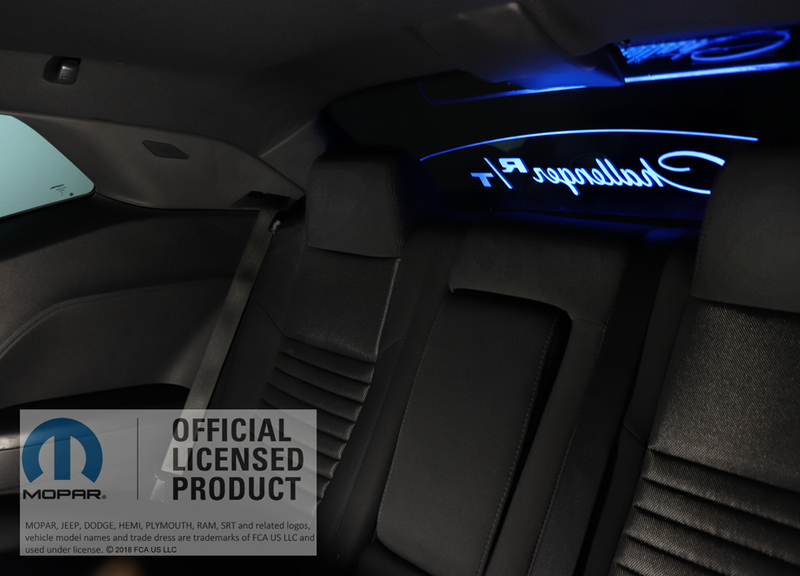 Made to Order: 4-6 Week Lead time, All orders will be processed in the order they are received. 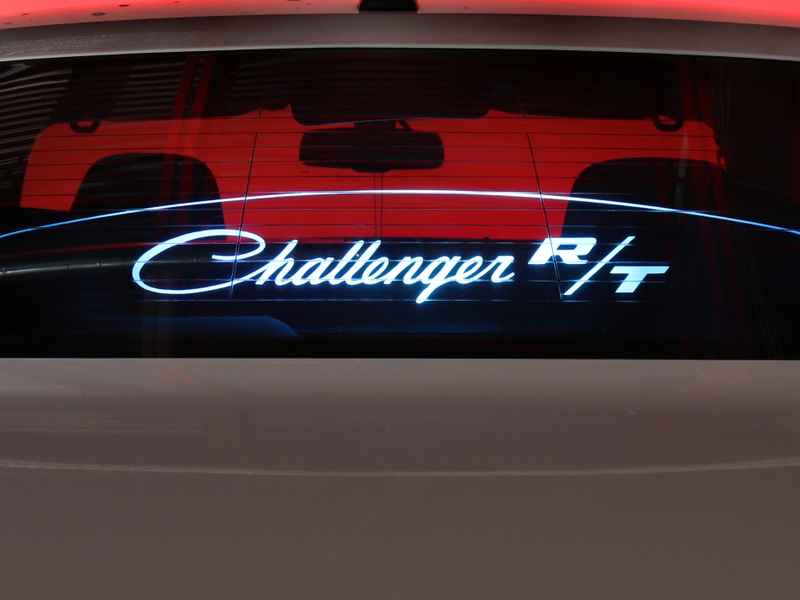 Looking for a show stopper? 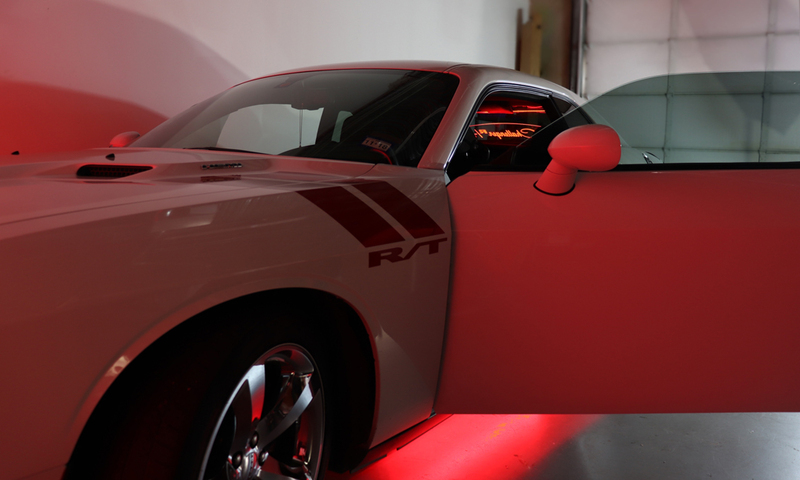 Ready to turn heads with a product guaranteed to get a BIG reaction? 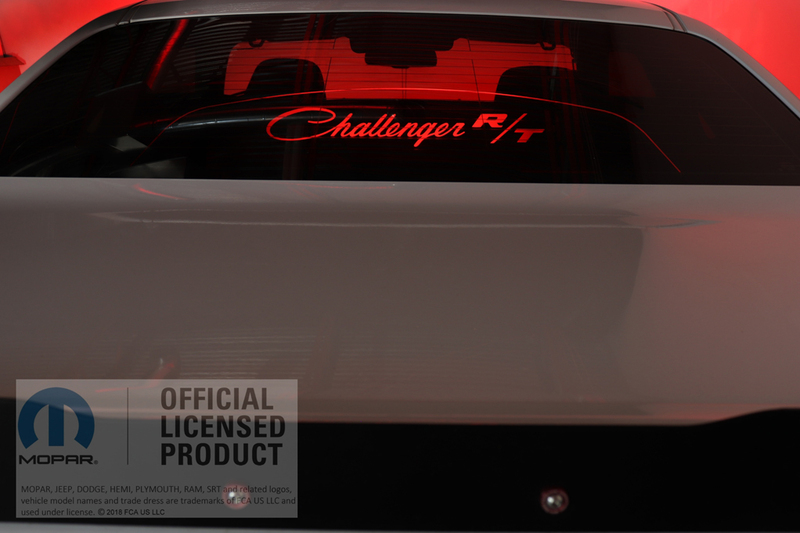 This WindRestrictor® brand Glowplate for the Dodge Challenger will do just that! Copyright © 2017 BMC Extreme Customs Inc. All Rights Reserved.